Monuments, Sites and Cultural Landscape of Chiang Mai, Capital of Lanna is part of the Tentative list of Thailand in order to qualify for inclusion in the World Heritage List. After just one visit to Chiang Mai, I knew that it was easily one of my favorite places in the entire country. I spent a year in living in there and it truly is the “Rose of the North,” as they like to say. Chiang Mai holds the heartbeat of Lanna Thai culture, which is actually quite different from the culture and food of southern Thailand. One of the key reasons to visit is for the well-preserved culinary history present that represent all of the influences neighboring regions and countries have had on Thailand over the centuries. In the streets of Chiang Mai, it was easy to sample both traditional Northern Thai food, Issan dishes, and cuisine from neighboring Burma (Northern Thailand has a large population of Burmese refugees, and this presence is evident in the food selection and the Burmese markets taking place all of the Chiang Mai region. The food is what attracts, but it's the fascinating range of cultural groups and ethnic minorities that keep it interesting for those keen to really explore the nuances of the Lanna Thai Kingdom. Head to a market on the outskirts of town and you are likely to find a bustling place where food, flavors, and cultures combine. One of my favorite parts of living there was undertaking a coffee journey that operated as a Thai social enterprise in the city, and strove to help tourists culturally engage and understand the unique culture. Then there are the sheer number of temples, which really can't be overstated. 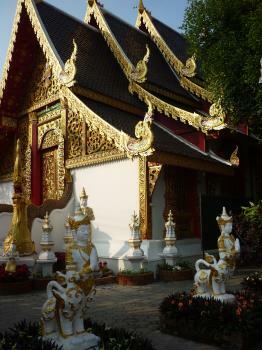 Chiang Mai is dense with temples and they represent a range of time periods and themes. Monk chats at the temples in town are a great way to delve into that side of the culture, or just renting a bike and cycling to each one is a highlight too. I loved my time in the Chiang Mai and highly recommend that all travelers head to this region as it's the best window into the Thai culture. 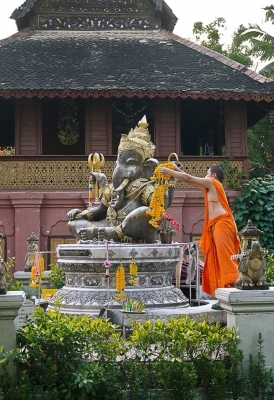 Chiang Mai is a major tourist hub in northern thailand, especially for the backpacking crowd. Luckily, it is also very beautiful, with lots and lots of temples and ruins scattered around the town. I spent the whole day just walking from temple to temple in the core of the old city, but skipped the more out-of-town elements. The temple architecture seems to be more varied and playful than the more majestic ones in Bangkok, which was fine for me. 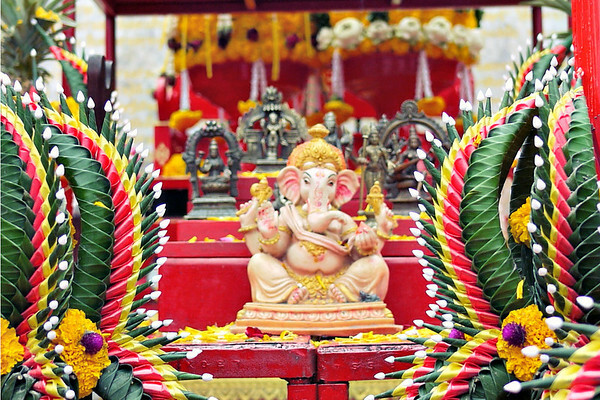 Most temples are active places of worship and not just tourist ruins, so the place feels quite lively. With its sheer beauty and high concentration of interesting buildings, Chiang Mai seems to be a worthy candidate for a WHS, although I am not sure if each and every component of the voluminous proposal is necessary.